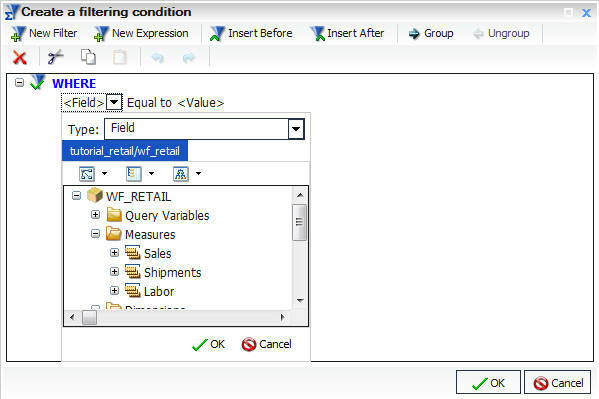 In InfoAssist, you can create a subquery using a HOLD file. A subquery is a nested query that is added to the Where clause of an SQL statement. A subquery is valuable because it is highly reusable. This procedure describes how to create a subquery filter using a HOLD file created in the previous procedure. A sample report is shown in the following image. The Filter dialog box opens. 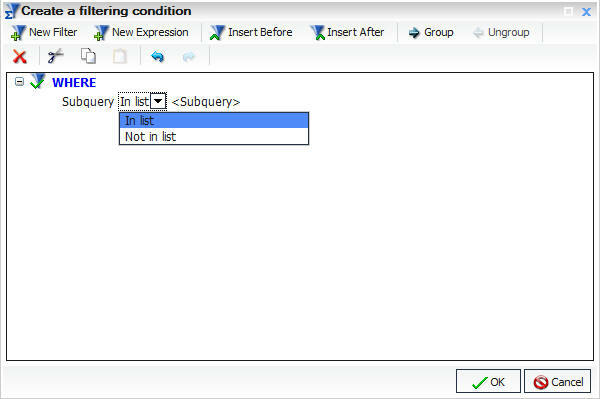 In the Filter dialog box, from the Type drop-down menu, select Subquery as the filter type for the left-most part of the expression, as shown in the following image. From the Subquery drop-down menu, select In list as the comparison operator, as shown in the following image. From the list of subqueries, select the subquery that was created (in this example, File1) for the right-most part of the expression. The Subquery drop-down menu with the File1 Subquery is shown in the following image. The report is filtered by the subquery that you created. An example of the report filtered by female customers is shown in the following image. 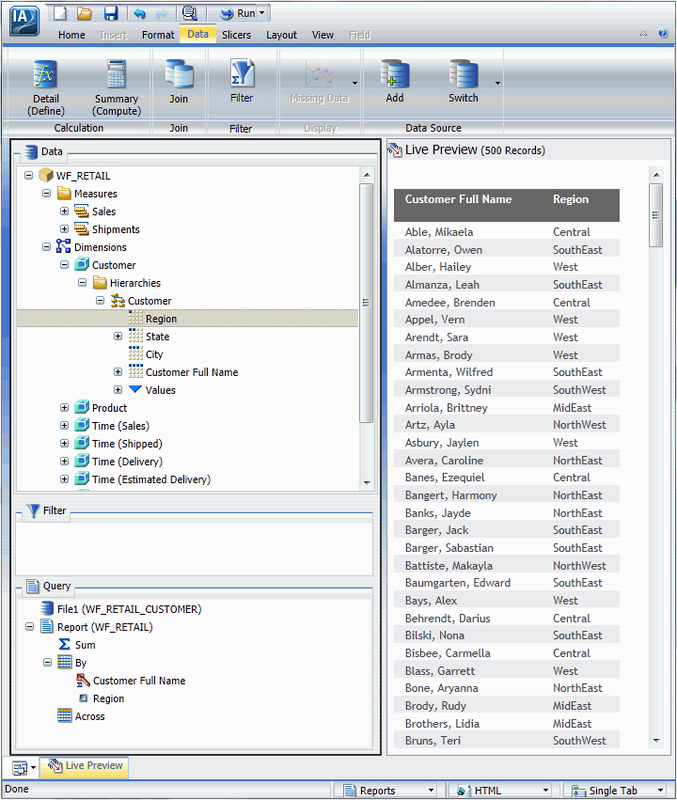 Note: To view the SQL statements generated by the request, go to the Quick Access Toolbar, open the Run drop-down menu, and select SQL Trace.